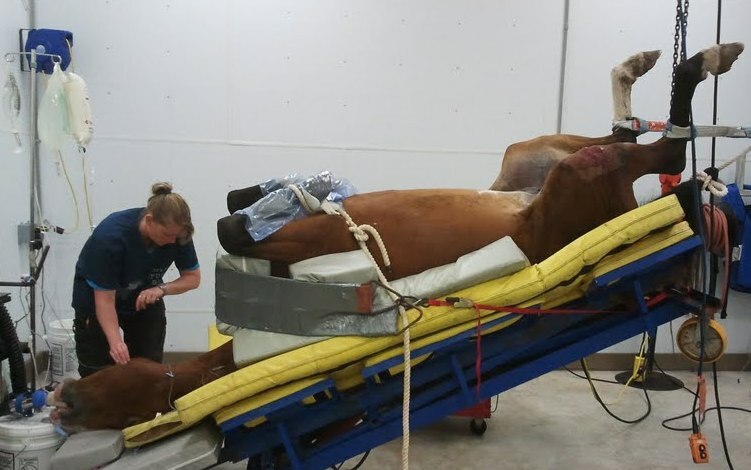 Alberta Veterinary Center can offer all types of equine surgical services. Dr. Andres Sanchez is a large animal surgeon and loves doing all types of surgery. We offer everything from laparoscopic (standing) procedures to table (laying down) procedures. These include laparoscopic castrations or spays which are easier on your horse meaning they have a shorter recovery period. We also can do table procedures which include colic surgeries, umbilical hernias, arthroscopic surgeries. We can also do orthopedic procedures including arthrodesis.